Happy Food Matters Monday! 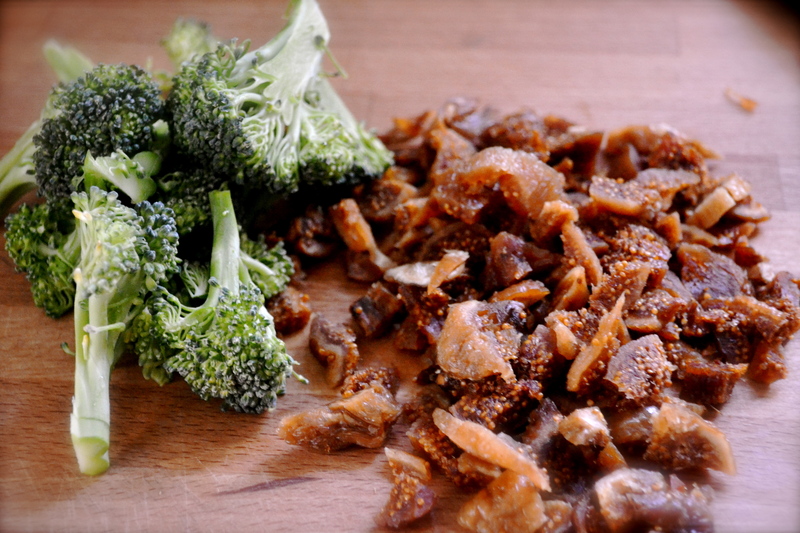 The fourth week of the Food Matters Project brings a very interesting recipe. I adapted this recipe from the Food Matters Cookbook. The original recipe was Baked Rigatoni with Brussel Sprouts, Figs, and Blue Cheese chosen by Marcia of Twenty by Sixty. I have to admit that I was very worried about this dish. I mean the combo of brussel sprouts, figs, AND blue cheese was just a bit on the odd side. Number one, I’m not a fan of brussel sprouts OR blue cheese. But, I do looooove figs, both dried and fresh. A note on figs. The most popular dried fig is the black mission fig, but any variety would taste great. I used dried Conadria Figs from Trader Joes. Dried figs are also a great snack and a fabulous source of fiber. My variation on the recipe was to use broccoli and goat cheese instead of brussel sprouts and blue cheese. Love! This really was DELICIOUS. An inspired dinner that was perfect and spot on. The original recipe calls for baking the pasta, but I found that this dried out the pasta dish because the goat cheese ends up just soaking into the pasta instead of coating it like you would want. I personally liked it without baking it. The other major bonus to this recipe is that you can throw it together in under 20 minutes. 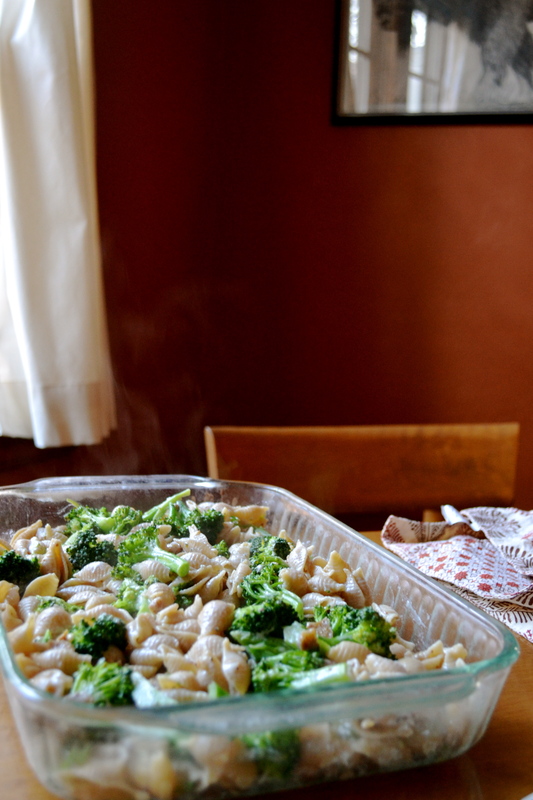 I cooked the broccoli in a steamer placed over the pot of boiling pasta. Double duty! This dish just proves to me that Mark Bittman truly knows how to make food matter. If you are curious at other variations, check out the original recipe by Marcia at Twenty by Sixty and other adaptations by the rest of the FMP food blogging gang. Note: The cheese is easily swappable for what you have on hand, as long as it is easily meltable. Also instead of figs, apples or pears would also work well. Bring pot of salted water to boil. Place pasta in boiling water. Cook for about 6 minutes. 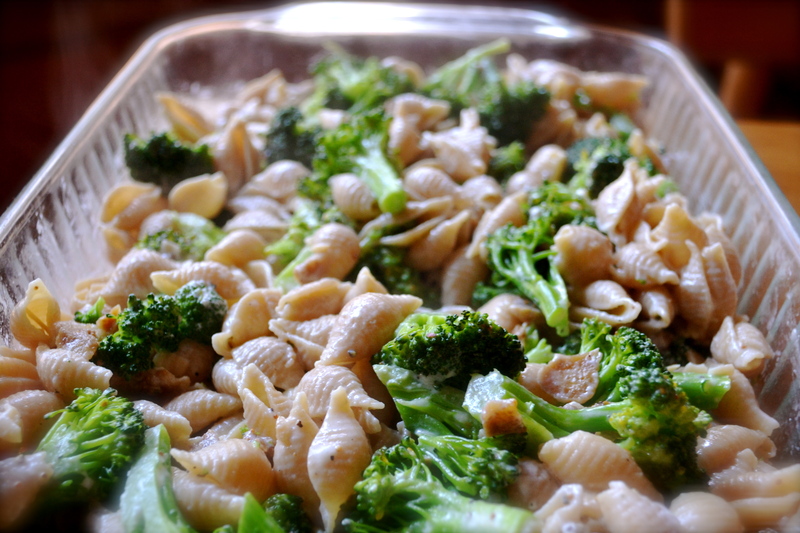 While pasta is cooking, place broccoli in a steamer basket and place over pot of boiling water. Steam for about 3 to 5 minutes or until broccoli becomes bright green. Do not overcook. 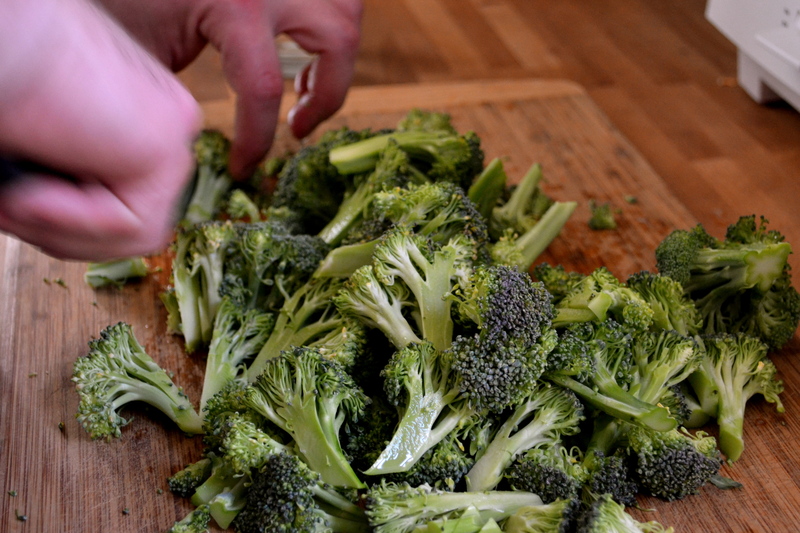 Remove from steaming and run cold water over the broccoli to stop the cooking process. Drain pasta, reserving about 1/4 to 1/2 cup of pasta cooking liquid. I came THISCLOSE to using goat cheese but then exactly 4 oz of blue fell into my lap, so I had to go with it. But next time…goat cheese is ON. This looks great! Haha, I am very smitten with goat cheese. I need a twelve or twenty five step program to stop my addiction with it. Oh, baked pasta with goat cheese, I didnt think of that when I made my version, but now I really have to try this one day. Perhaps I need help, too, but I really enjoy my addiction at the moment. Oh wow! 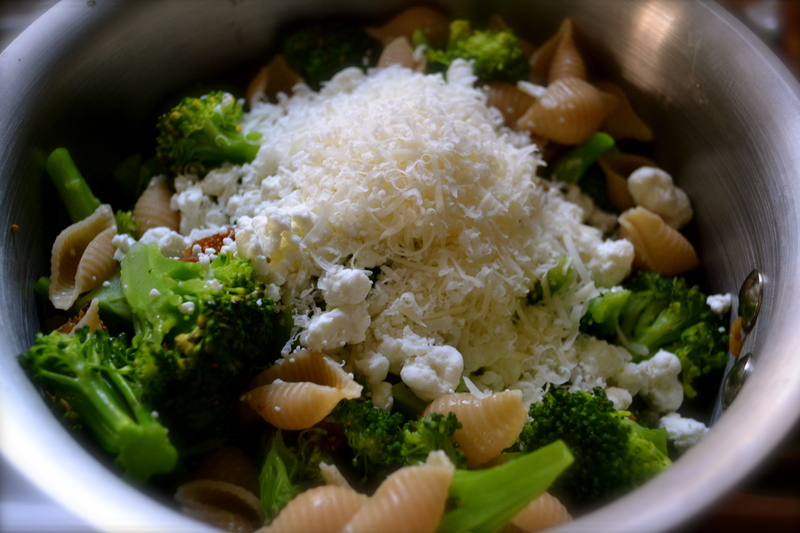 Broccoli, goat cheese, and parm… Yumms! Yum! 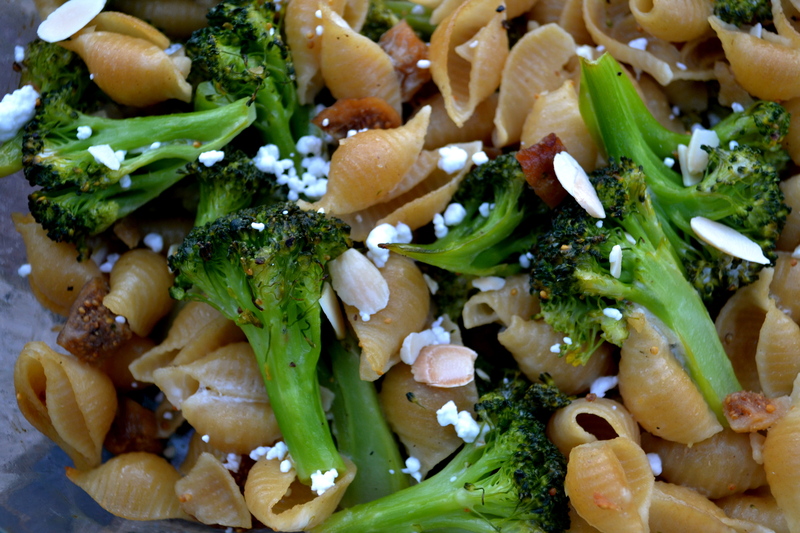 I ❤ broccoli with anything so you had me there but then goat cheese and shell pasta. love this! It's like a healthy, twisted mac n cheese. I love the broccoli and goat cheese variation! Gotta try it soon.